The Joint Commission (TJC) Medication Management standards include 8 sections and 20 elements of performance providing detailed guidelines and recommendations for storage and security of medications. Hospital and health system pharmacists and quality leaders face significant compliance challenges, with medication storage being one of the biggest areas of non-compliance. Advances in RFID technology allow health system leaders to take action to minimize medication management risks. Critical inventory such as vaccines and high-value medications often have manufacturer recommended storage guidelines that must be followed. Temperature excursions can pose a significant patient safety risk. However, according to a Q&A interview conducted by Pharmacy Purchasing and Products magazine (November 2015) improper monitoring of refrigerator temperatures is a challenge and many facilities continue to struggle in this area. How Intelliguard® RFID Helps: When using RFID-equipped Intelliguard® Controlled Temperature Cabinets, critical drug inventory levels and their storage temperature conditions are automatically monitored and reported. Staff simply maintains their current workflow – open the door, remove what’s needed, close the door. 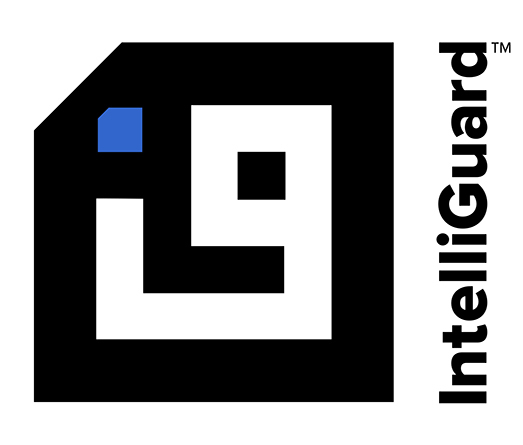 All information is automatically relayed to the Intelliguard® Client Intelligence Portal, where the pharmacy team has immediate access to item-level intelligence in real-time from any Internet connected device. >>For more detailed information on specific TJC elements of performance and how hospital pharmacy automation can support many of the “Red Flags” on the Joint Commission’s radar download our paper: The Joint Commission Medication Management Standards: Storage and Security of Medications. The April 2017 issue of The Joint Commission QuickSafety newsletter covered the topic of crash cart preparedness, noting that hidden issues could detrimentally effect patient safety. The article encouraged teams to “Take a close look at your organization’s crash carts. Are they ready for a life-threatening emergency?” Some of the issues identified included medication mix-ups, missing medications and expired medications. How Intelliguard® RFID Helps: Using RFID technology, when a kit, tray, bag or box is returned to the pharmacy for refilling, it is placed in the Intelliguard® Kit and Tray Management workstation. RFID technology provides assurance that the task of medication replenishment is performed with 100% accuracy – nothing missing, nothing expired. The system does not permit steps in the defined process to be missed or skipped. >>Read our article “Ensure Your Crash Carts are Ready For An Emergency with RFID Technology” for further details. Intelliguard® RFID Solutions enable safe, efficient workflows to improve patient safety, reduce risk, and support many of the medication management storage and security standards imposed on hospital and health system pharmacies. Download “The Joint Commission Medication Management Standards: Storage and Security of Medications“ to learn more about how we support many of the “Red Flags” on The Joint Commission’s radar. Contact us to learn more.